Wray's Concrete Finishing is a locally owned and operated company that is fully equipped to handle all of your concrete needs. We can help give your patio a beautiful finished look with stamped concrete, handle new installations of driveways and sidewalks, repair damaged concrete, lay the foundation for a new residence or commercial building, and more. 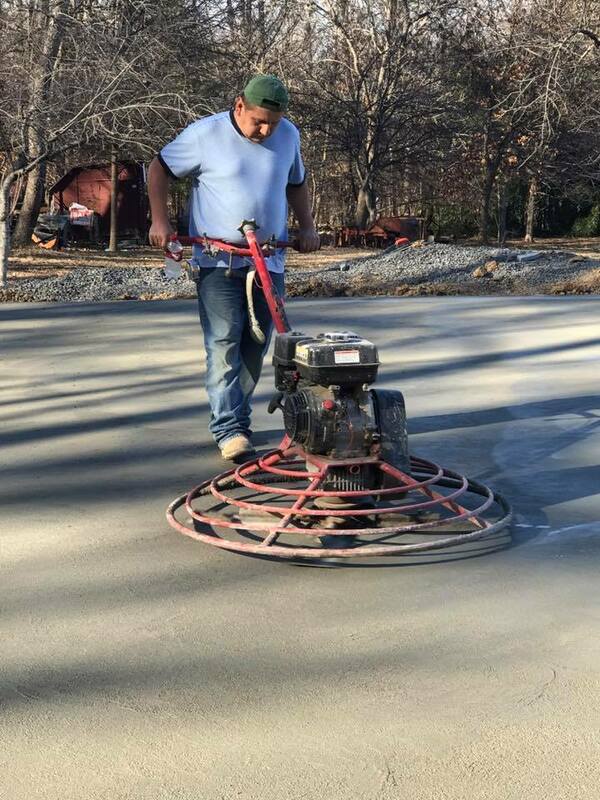 Wray's Concrete Finishing has been in business since 1997, providing Eden, NC and surrounding areas with residential concrete applications and commercial concrete work. If it has to do with concrete, the contractors at Wray's Concrete Finishing can handle it! The owner, Larry Wray, is certified in concrete overlays and stamped concrete. All workmanship is guaranteed - your finished product is going to look great and work correctly when it comes to controlling the flow of water. Call us today for a free estimate and ask about our veteran's discount! Owner Larry Wray is a veteran himself and is proud to offer a discount to those who have served or who are actively serving. Ask about our veteran's discount! Owner Larry Wray is a veteran himself and is proud to offer a discount to those who have served or who are actively serving. We love to show off our work! Please visit our facebook page for more photos examples!